Situated off the coast of the Persian Gulf is the charming nation of Iran. With a population of more than 79 million residents, it is the second largest country of the Middle East. Iran offers you diverse landscapes, majestic architecture and an exceptional culture. Attractions include Persepolis, Nasir ol Molk Mosque (Shiraz) and the National Jewellery Treasury (Tehran). Prepare to discover what so few know and appreciate about this nation, because cheap flights to Iran are now available. The capital, Tehran, is the home of Mehrabad International Airport (THR), which is a 20-minute drive from the city centre. Admire Iran’s commitment to creating scenes of beauty, such as Dej-e Shapour-Khast and the entrance of the Shah Mosque. Enjoy the welcoming atmosphere: locals are known to invite travellers to share a meal and tea. Appreciate the effort that was put into the creation of the elegant gardens in Iran. 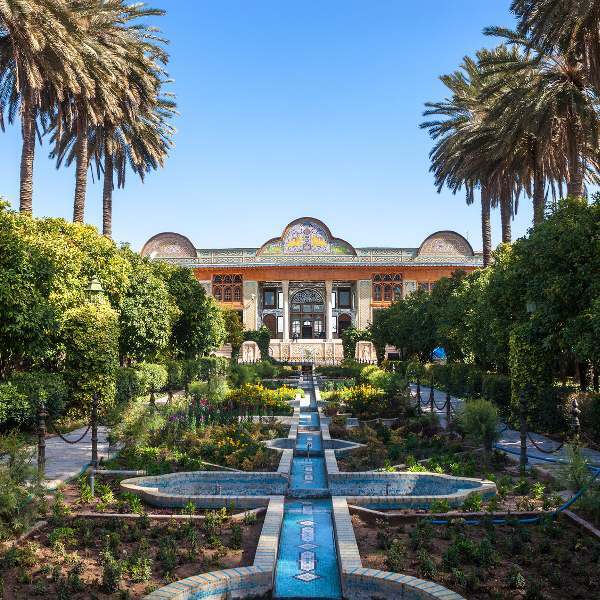 These include the wonderful locations of Eram Garden (Shiraz), the National Botanical Garden (Tehran) and the Flower Garden (Esfahan). Explore the wealth of natural beauty throughout Iran. 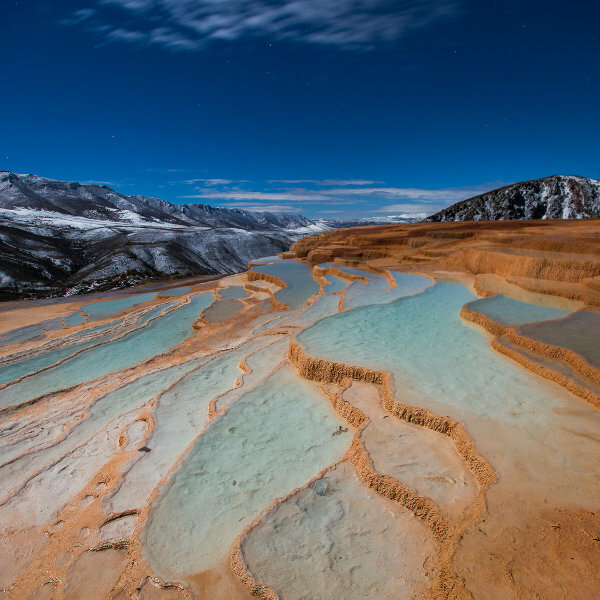 Some breath-taking sights include the Middle East’s highest mountain, Mount Damavand, the hot springs of Badab-e Surt and the vast desert of Dasht-e Lut. The most popular time to visit Iran is during spring (March – May). The temperatures around this time are the most comfortable, drawing numerous visitors to the cities of this Middle East nation. If you can handle the crowds, be prepared to book well in advance and pay higher hotel rates (prices go up and availability goes down in April). Skip the crowds by visiting Iran during summer (June – October) and winter (November – February). Summer brings the highest temperatures and thins out the crowds. Hot weather may mean it can get uncomfortable with a headscarf, but you can enjoy lower hotel rates (especially when compared to the period between March and May). September and October bring slightly lower temperatures, making it the perfect time for some outdoor activities, like mountain trekking. Winters are extremely cold, with snow giving you the ideal opportunity to go skiing! Just make sure to pack plenty of winter clothing and gear. Hotel costs are at their lowest during this period. Get ready to immerse yourself in the beautiful culture of Iran. This Islamic nation is where you will find picturesque mosques and temples, artistic architectural wonders and charming green spaces. Go for adventures and discover the diverse landscape that Iran offers, which includes magnificent mountains (like Mount Damavand), lakes (such as Alendan Lake), hot springs (including Badab-e Surt) and alluring coastal scenes (like Hormuz Island). Iran’s capital is Tehran, which sits in the northern part of the country. This destination is home to stunning architectural masterpieces, including the historic, 16th-century Golestan Palace (the former seat of power of the Qajar dynasty) and the breath-taking Azadi Tower. Admire the jewellery of the Qajar monarchies at the National Jewellery Treasury. Indulge in some relaxation at Laleh Park and Shahr Park or shop as much as you want at the Tajrish Bazaar. Situated on a flat plain and surrounding by mountains, Yazd is a city of winding lanes, a collection of badgirs (Persian wind towers designed to provide natural ventilation in buildings) and exotic mud-brick houses. It is a destination that you should not miss during your exploration of Iran. It is the quintessential city of the desert. Attractions include the Ateshkadeh (a fire temple), the Towers of Silence and Jame Mosque of Yazd. Shiraz sits in south-central Iran. It’s famed for its literary history and numerous gardens (one is the home of the Tomb of Hafez, a beautiful marble beauty). Visit the Mausoleum of Saadi, dedicated to the late poet, including a 13th-century mosaic-tiled tomb and a gorgeous underground pool. North-east of Shiraz is the ancient capital of Persepolis. Compare several airlines and book your cheap flights to Iran online at Travelstart! While Iran has a low crime rate, you should stay alert at all times. Pickpocketing is a risk in crowded areas like bazaars and buses. If you visit Isfahan, beware when in the tourist centre, as there have been reports of muggings of foreigners in unlicensed taxis. Be careful walking around in low-lit areas. Besides the threat of crime, look out for open storm water drains. Avoid talking about politics when near locals. If you plan to take photos, avoid doing so near military and other government institutions (including the airports). Doing so can not only get you imprisoned, but you may be charged with the serious crime of espionage. Homosexuality is illegal in Iran; public displays of affection should be avoided. 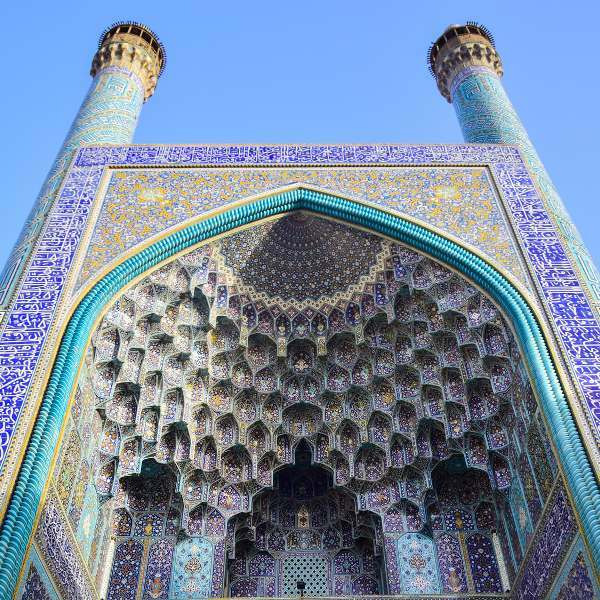 Iranian laws follow a strict Islamic moral code, but travellers are given some leniency to acclimatise themselves to the various unspoken rules and regulations.